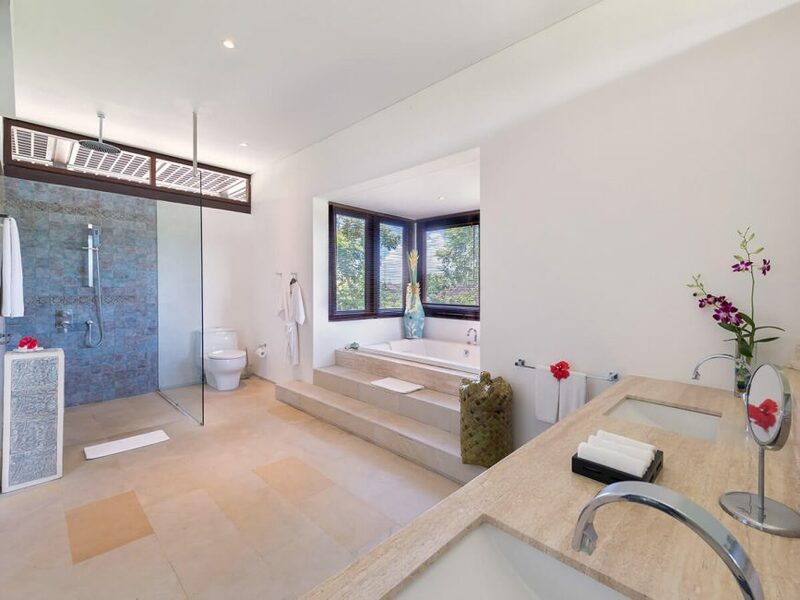 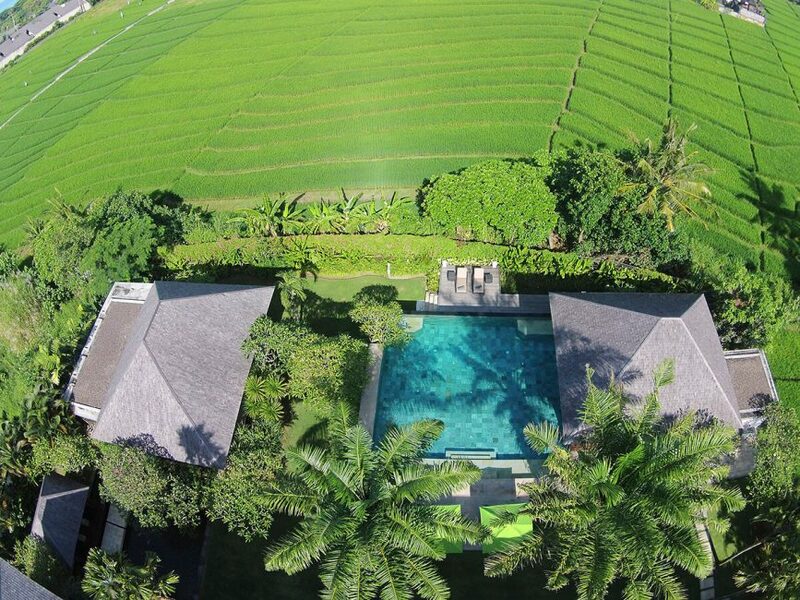 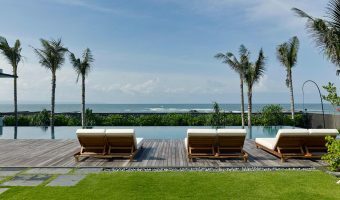 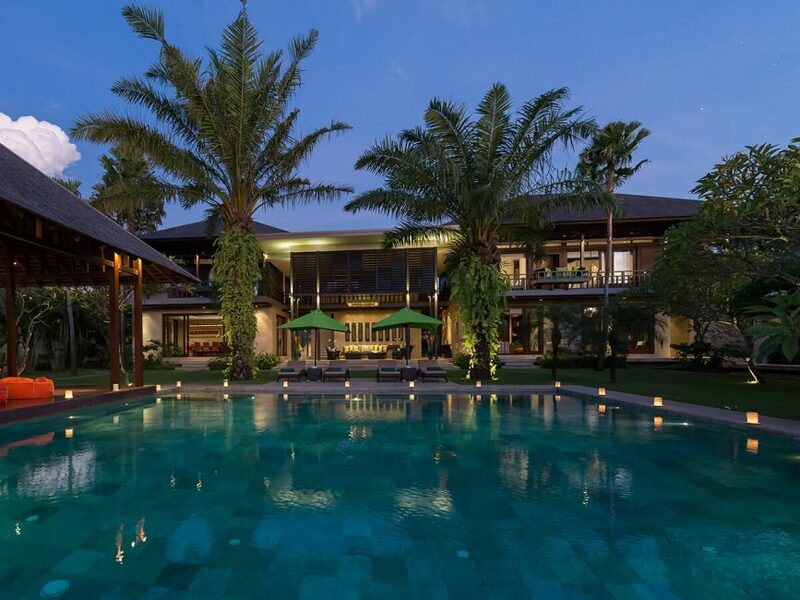 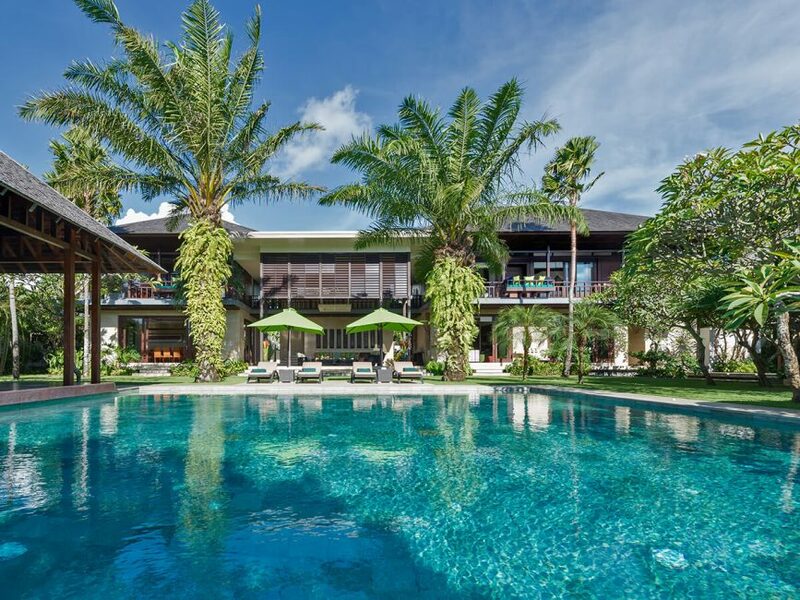 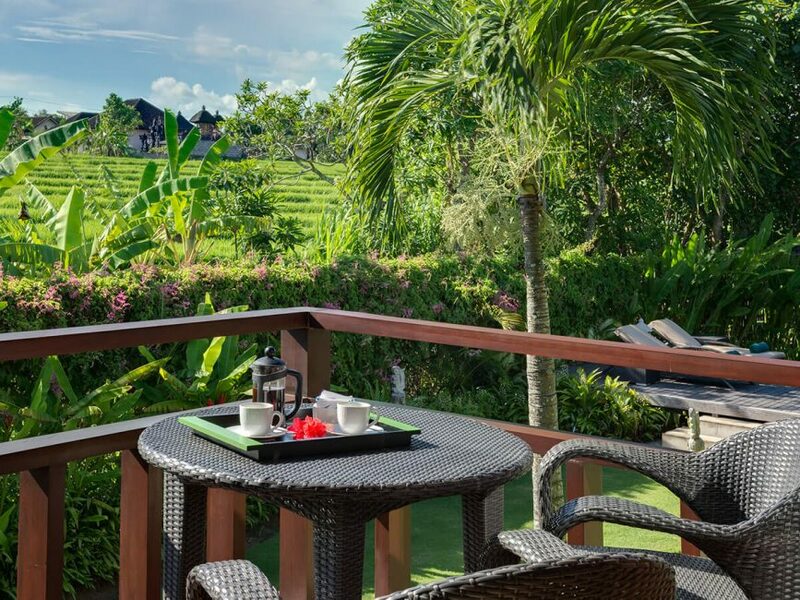 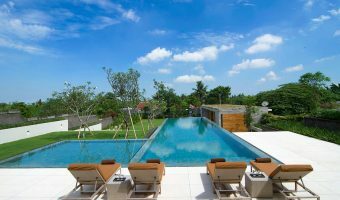 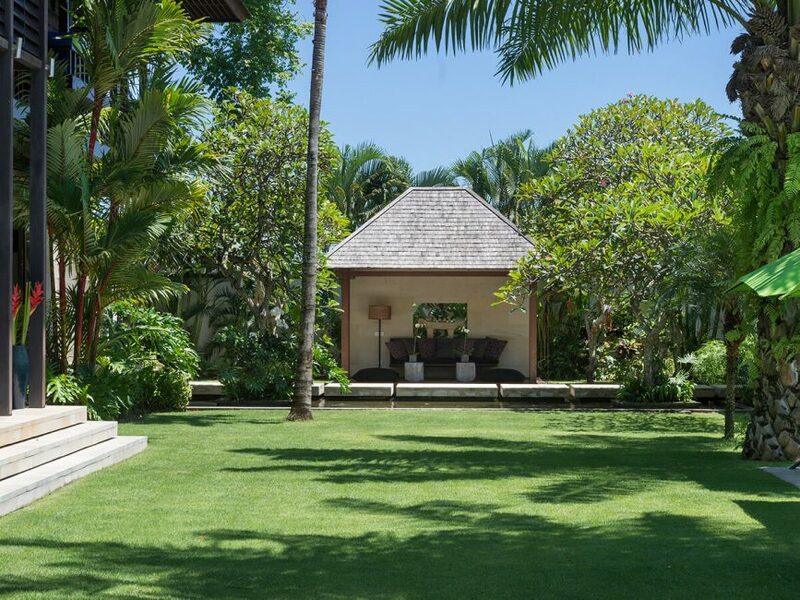 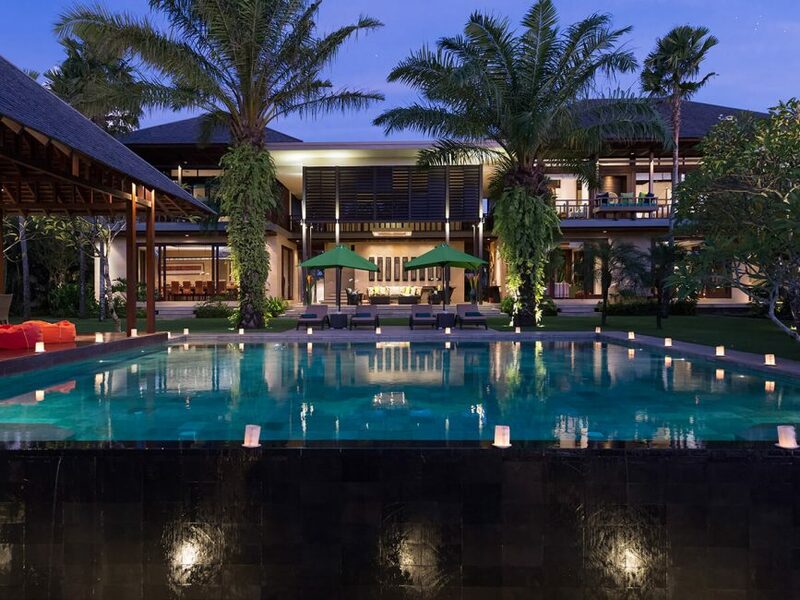 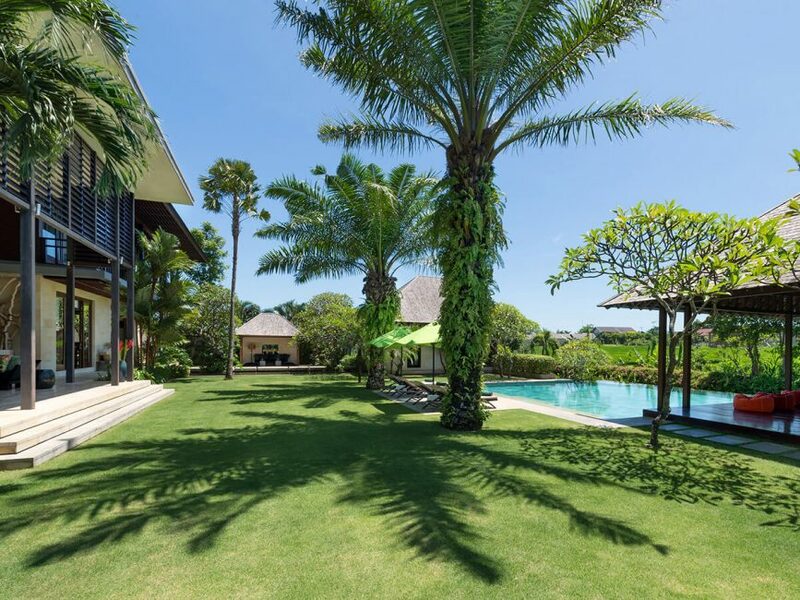 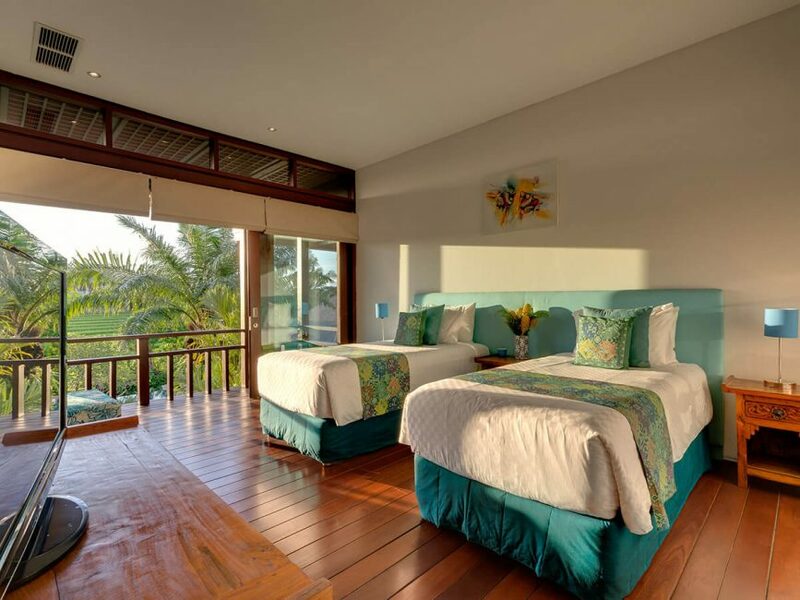 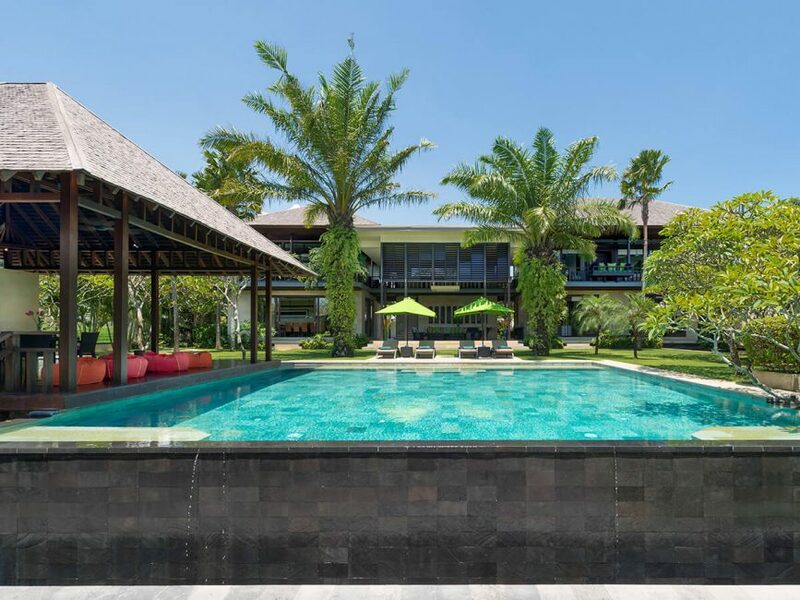 Villa Bendega Nui presides grandly over the luxuriant rice terraces of Canggu, only minutes from a fabulous surf beach and an eclectic choice of restaurants, cafés and local warungs. 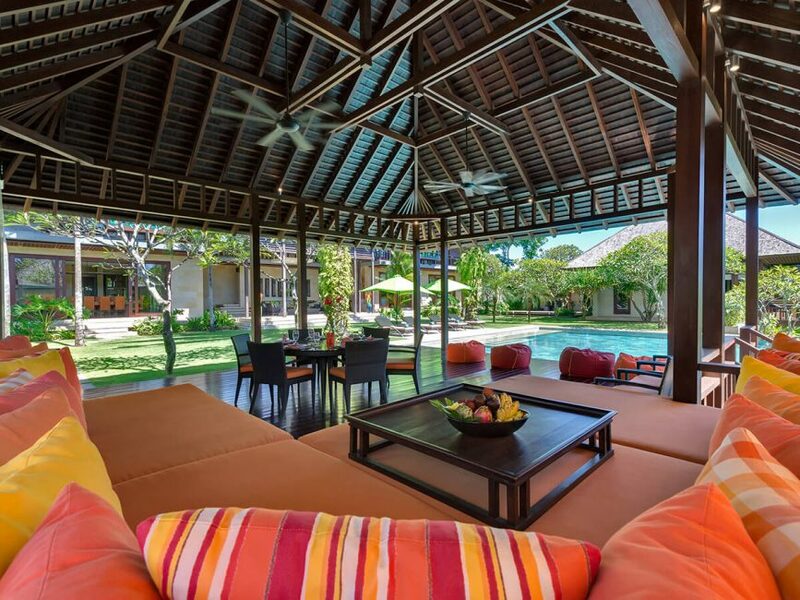 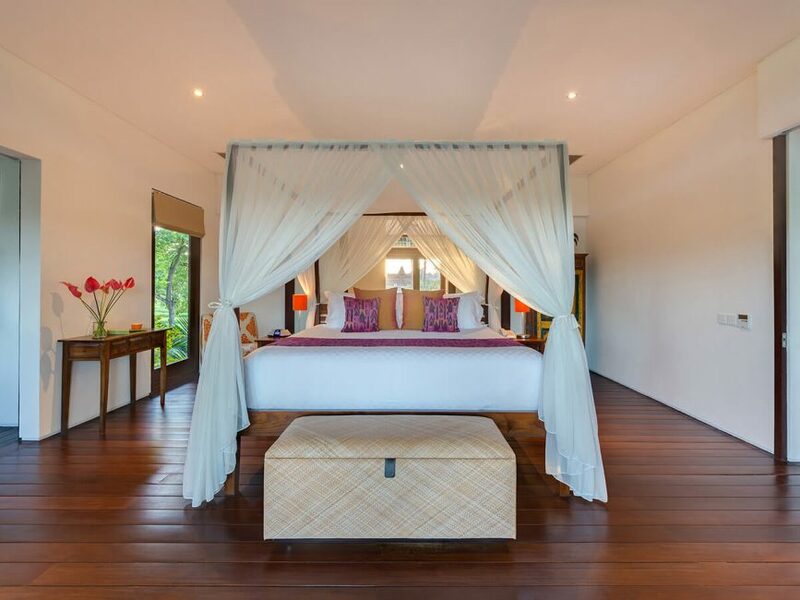 With five generous bedroom suites spread between a series of pavilions set in tropical gardens of almost an acre, this is a stunning villa for holidaying families and groups of friends who will appreciate the abundant indoor and outdoor spaces and the many entertainment options. 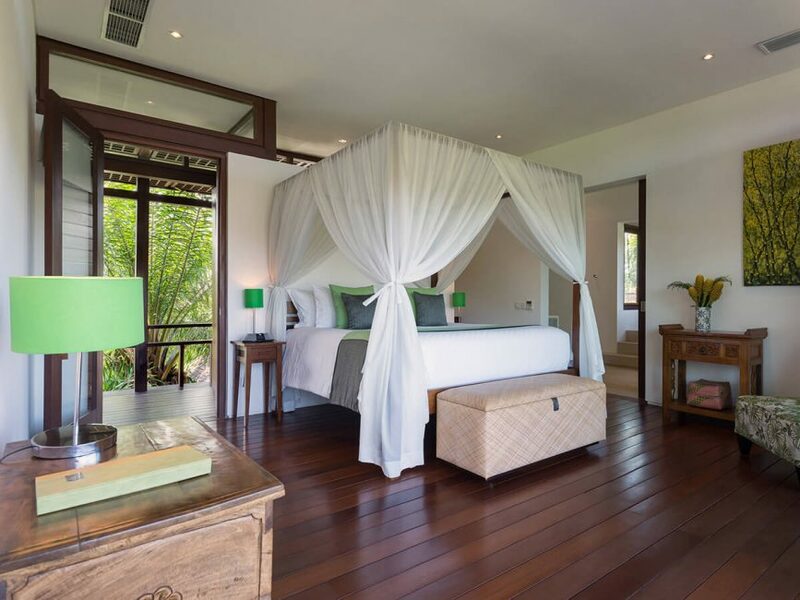 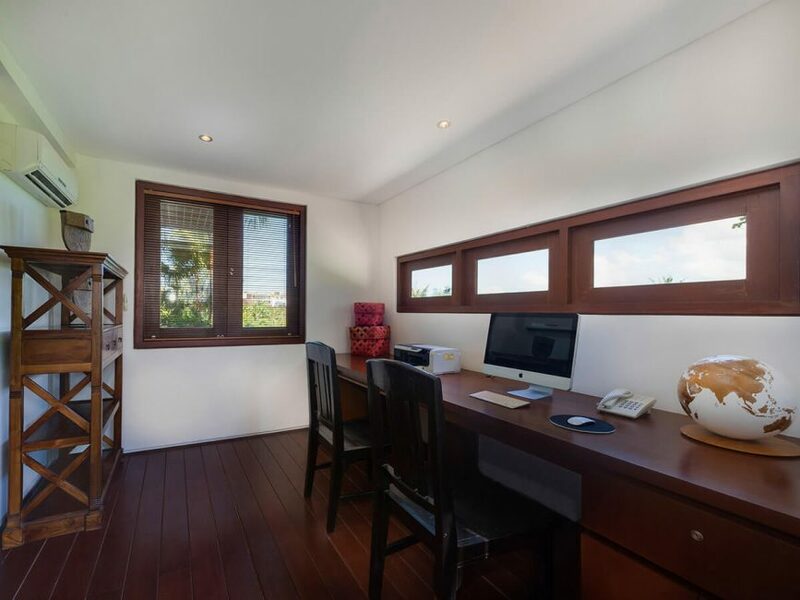 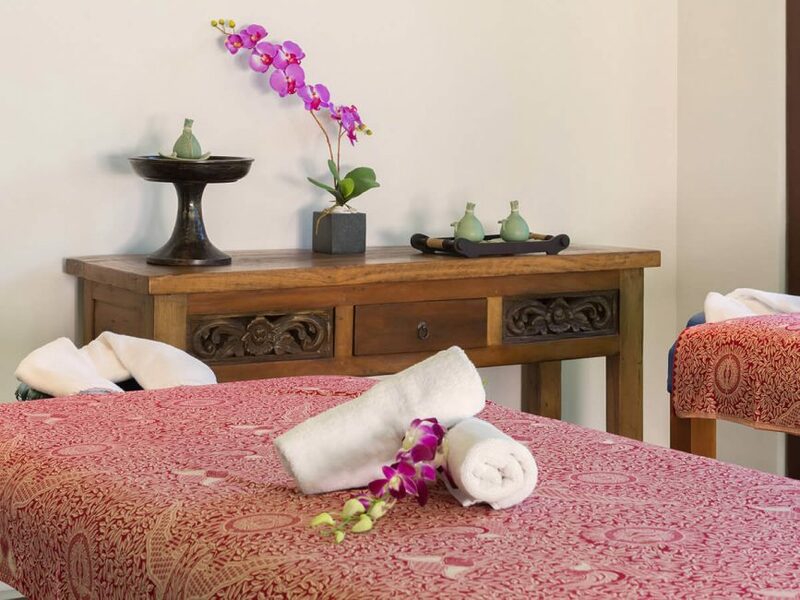 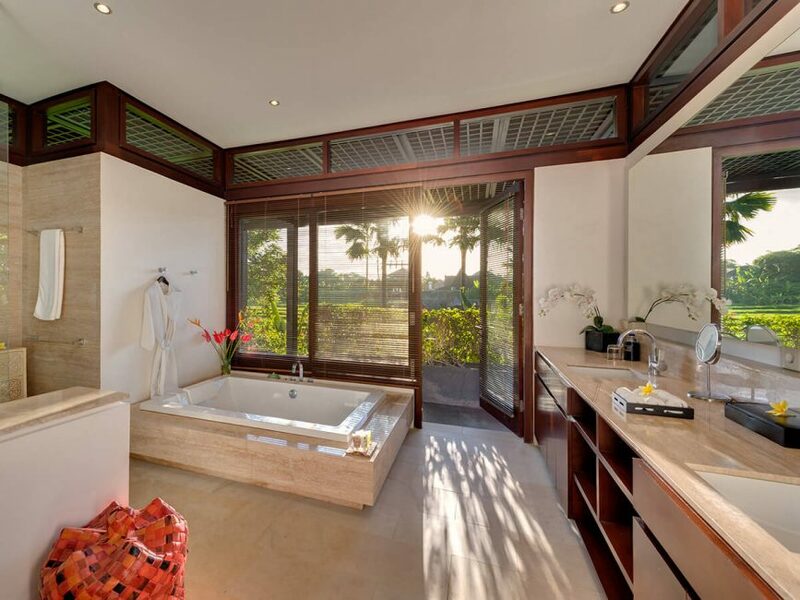 Villa Bendega Nui’s extensive facilities offer plenty to keep guests as busy as they wish to be. 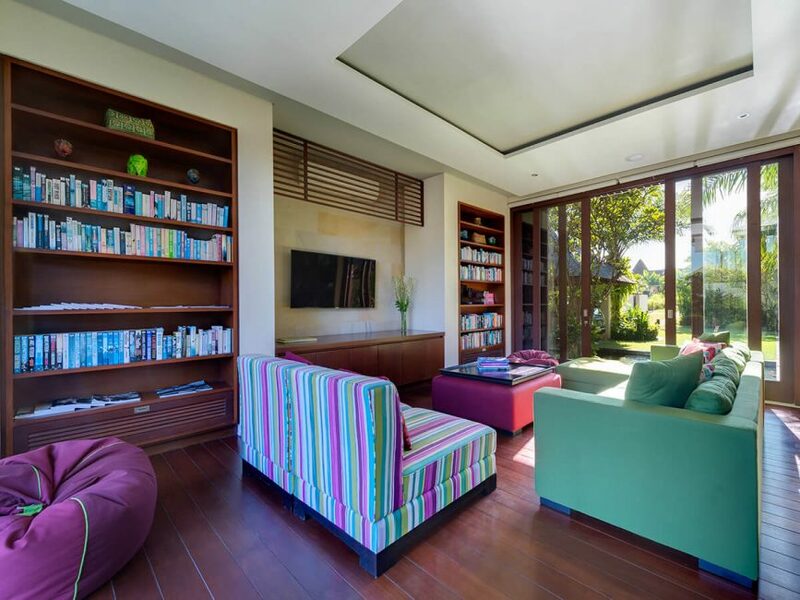 In addition to the large swimming pool, there’s a games room with pool table and a library with 50-inch TV. 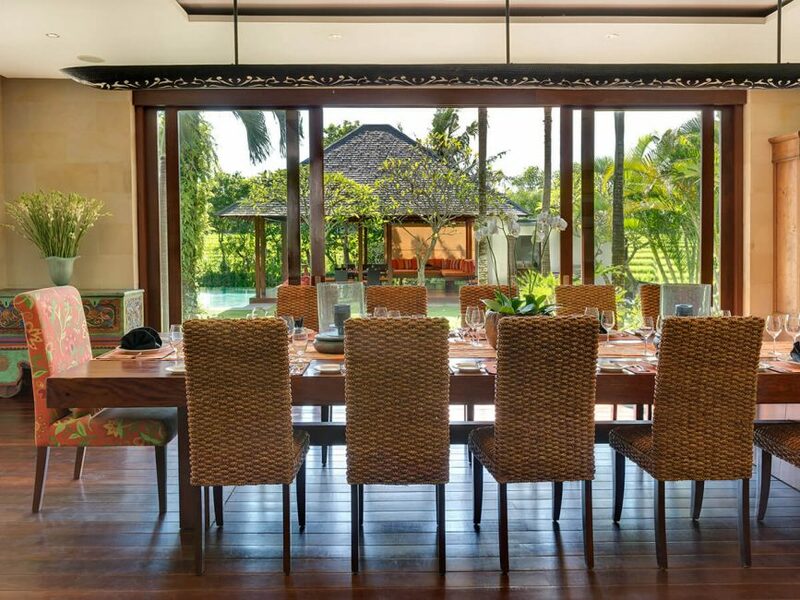 With an exceptional chef among the polished 17-strong staff (shared with Bendega Rato) and an extensive suggestion menu to choose from, dining in is an enticing option despite the many excellent restaurants within walking distance. 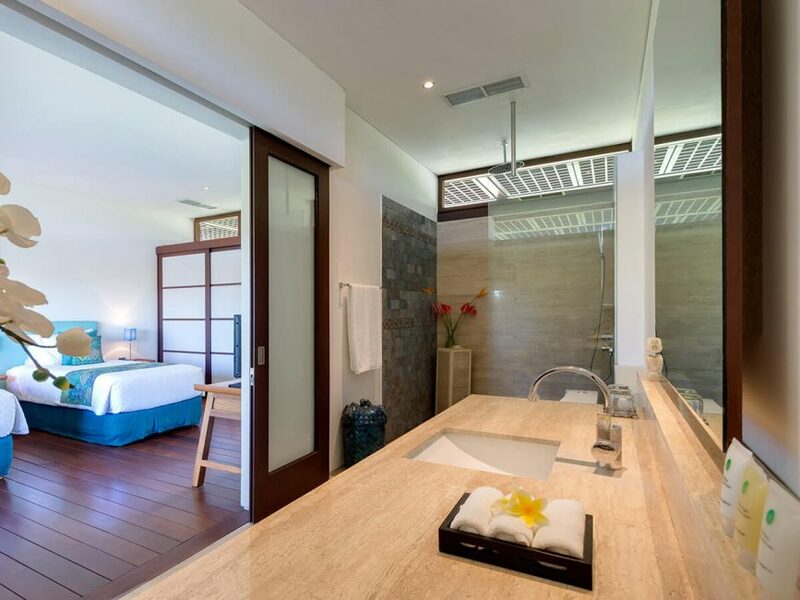 2 extra beds at additional charge. 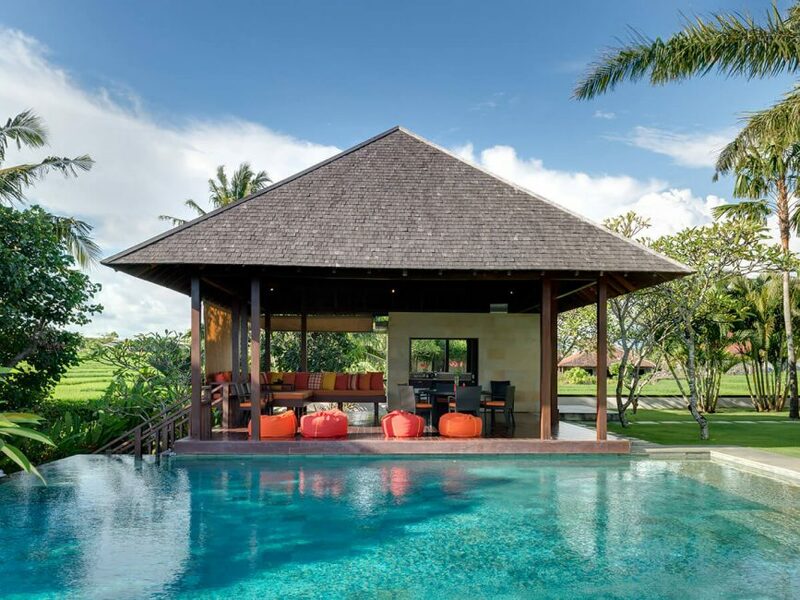 Outdoor lounge seating and dining for 10 at the pool pavilion; library/TV room; games room; reading balé. 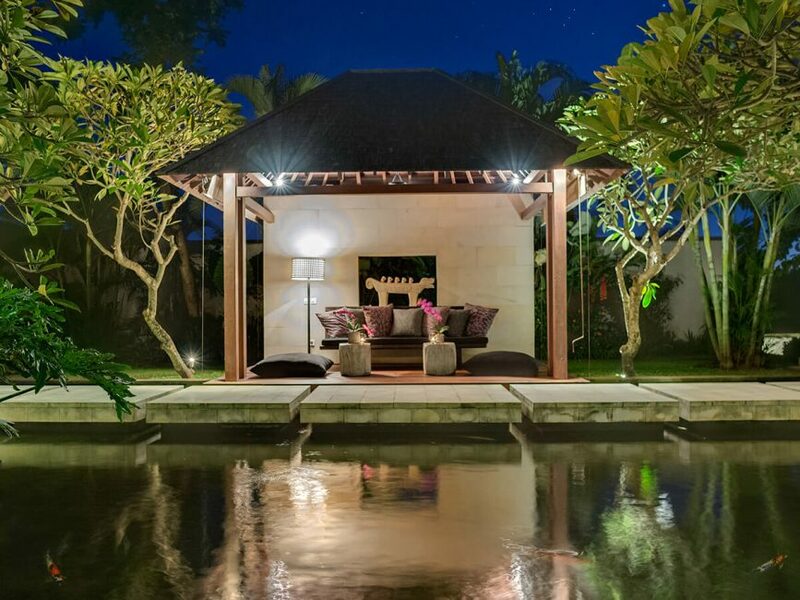 Private swimming pool 11 x 11m main pool, (6 x 3m plunge pool in optional master suite). 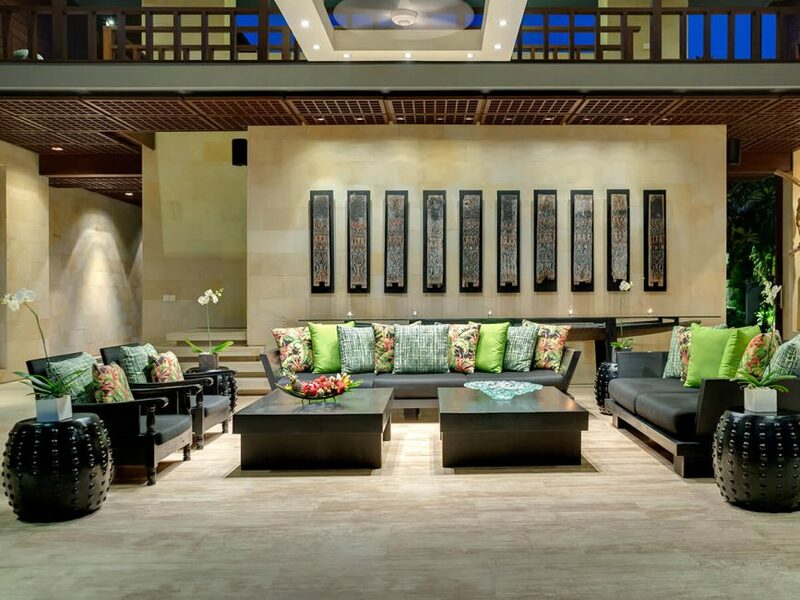 Well equipped for families. 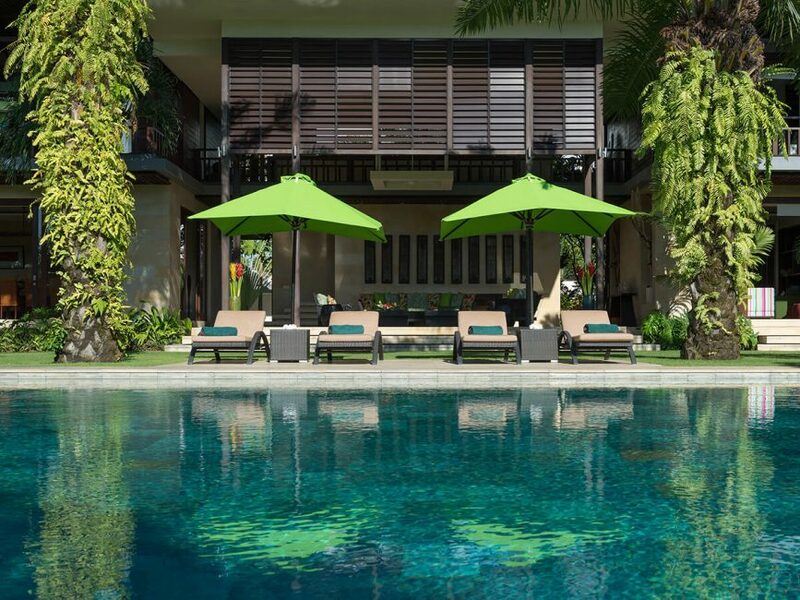 Cots and high chairs are available on request and there is a good supply of DVDs, books, games and pool toys. 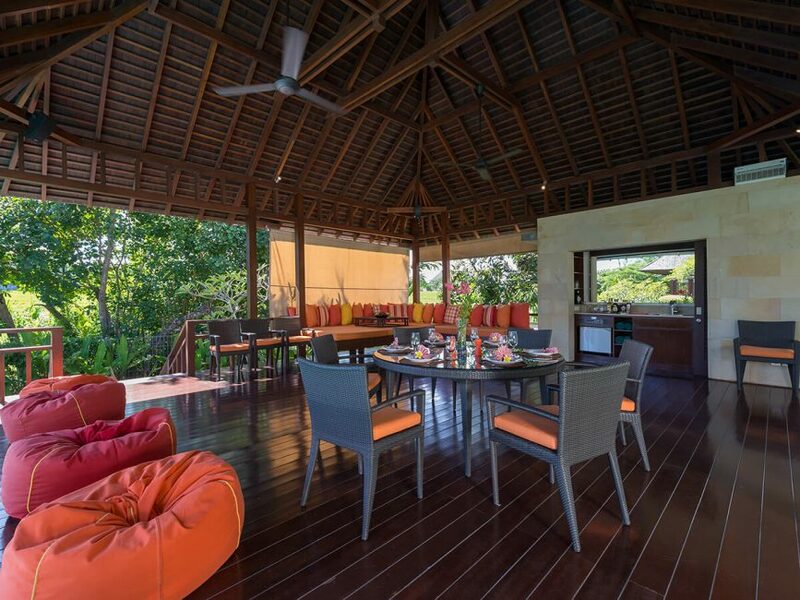 Gas barbecue; pizza oven; mountain bikes (2); massage beds (2). 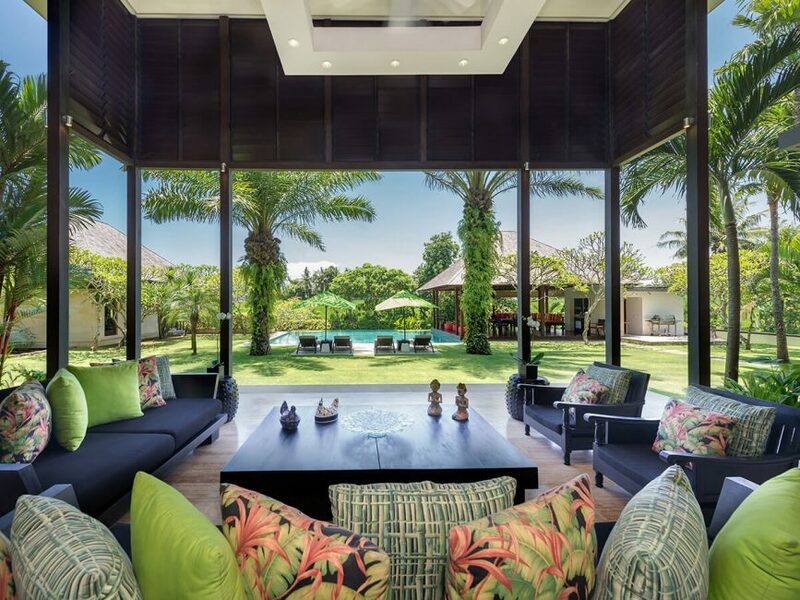 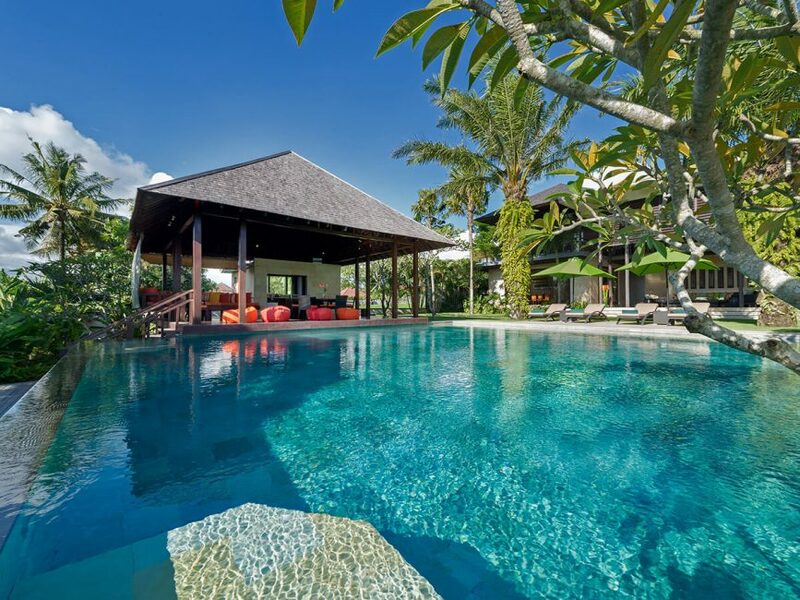 Bendega is Balinese for fisherman, a fitting name for this villa, which sits in a sea of rice terraces on the perimeter of the small traditional fishing village of Nelayan in Bali’s popular Canggu district. 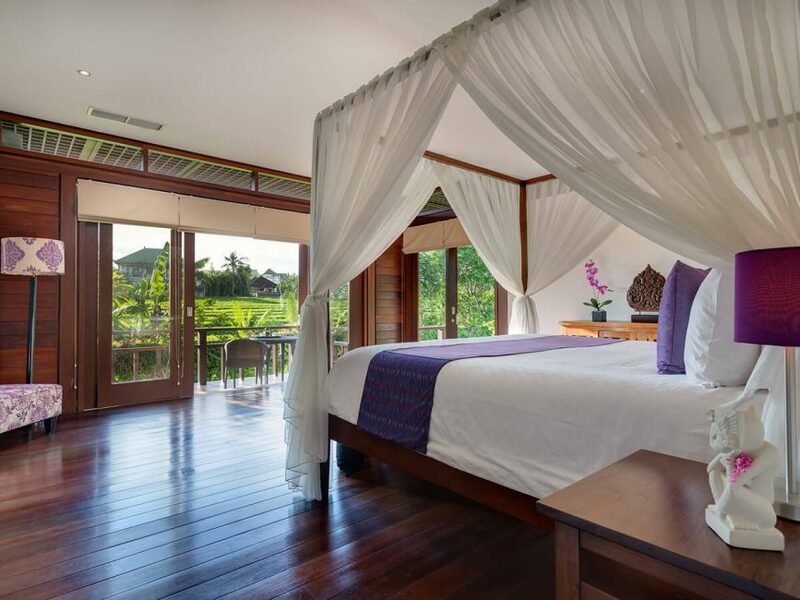 A five-minute walk down a quiet road will bring you to the stunning black-sands of Pantai Nelayan (a wonderful beach for walking and surfing but not safe for swimming), and a short stroll along the sands from here is the Tugu Hotel, an atmospheric boutique hotel-museum stacked with antiques and a ‘must visit’ during your stay. 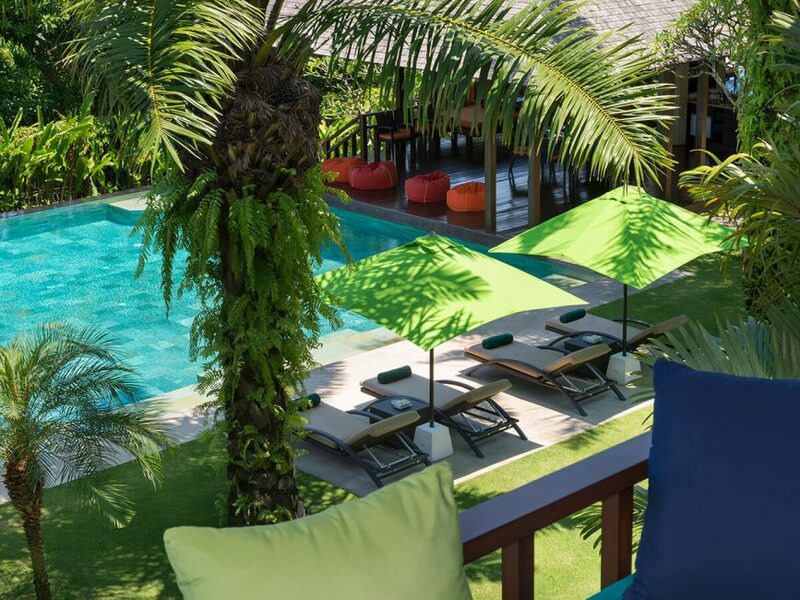 Many interesting cafés, bars and restaurants are springing up throughout this part of Canggu – several within easy walking distance of the villa.